"There is no medicine more powerful or supplement more effective in promoting health and longevity than the combination of good nutrition with daily exercise." One of the best ways to get back in shape after having a baby is to breast-feed. The physiological process of breast-feeding requires that a woman's metabolic rate go into overtime as her body strives to produce milk to nurture her growing infant. This process requires an exorbitant amount of calories to sustain. If you combine breast-feeding with both a nutrient-dense, calorie-controlled diet (with enough calories to support lactation) and regular aerobic exercise (like taking the baby for long walks), you will surely be on the right track for getting back into shape and getting back your pre-pregnancy body. If a woman decides not to breast-feed, she can still take a healthy approach to getting back into shape following the birth of her new baby. The extra fat that Mother Nature adds to a woman's body to support her pregnancy can be taken off following the same general principles for all types of healthy weight loss: eat a healthy, balanced, calorie-controlled diet combined with regular exercise, and aim for a weight loss of no more than 1 to 2 pounds per week. There are registered dietitians who specialize in pregnancy, and I would highly recommend you consult with one to get on the right path. 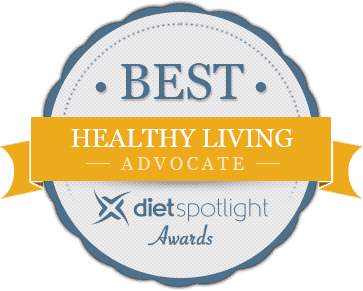 Go to www.eatright.org to find a registered dietitian in your area. Tomatoes-Lycopene Powerhouse with Super Health Benefits! Authentic Italian meals loaded with great taste and nutritional balance. Walden Farms Tip 4: A Healthy Sandwich? 1 cup of grapes contains approximately 62 calories; 1 cup of raisins, 493 calories. 1 cup of blueberries contains 84 calories; 1 cup of dried blueberries, 480 calories. 1 cup of fresh pineapple chunks contains 82 calories; a 12-ounce package of dried pineapple, about 1,100 calories! The bottom line is that dried fruits are a nutritious snack, especially if you're on the go and need a quick source of energy. However, a piece of fresh fruit, such as an apple, is just as portable, more nutritious and a far better choice for weight control. that said, just a touch of dried fruit can spice up any recipe so remember...a little goes a long weigh!